For all of us who have been through frosh week, we are well aware of the plethora of big group games, outdoor parades, cheers, and non-stop schedule. Between the intense physical activities and the multiple hours in the sun, we all start to dawn the same glisten and scent of sweat. For many makeup wearers, you know sweat and heat are your mortal enemies, but what do you do when you want to look stellar in the frosh photos rather than smudged? Here are 6 beauty products that I wore during University College frosh week 2016 that didn’t smudge off in the heat or water. As several of these products were purchased from the sometimes-pricey Sephora, I have provided a drug store alternative for as many as I can. So here are 6 beauty products to keep you looking stellar during your frosh week activities. For long time coverage, applying a concealer on top of a foundation base will better allow the foundation to stay in place by locking it in. For concealer, my go to product is the Anastasia Beverly Hills Contour skit. This concealer is sold in the form of both a palette containing multiple shades ($52) and as individual shades ($23). An affordable alternative that is almost equally effective and comes in nine shades is the Maybelline Fit Me Concealer which is priced at $9.99. To finish off the base, powder provides a seamless finish and effectively absorbs sweat or water on your face so that you don’t have to wipe it. My go to powder has proven to be extremely effective as it has lasted through my workouts, frosh parades, and even after being pushed into a pool. For my powder, I use Mac Studio Fix Powder. Unfortunately, I have met no drugstore match to that provides the same level of coverage and duration, so at $29 I think it is worth investing in. Fortunately though, I have been using the same Mac Studio Fix Powder almost daily for over 5 months, and I am only halfway through the product. As you can get close to 10 months wear with Mac powder, I deem it to be an economical investment. Now that we’ve got all the bases covered, it is important to find long lasting and sweat proof eye and lip wear, that will look glamorous in the frosh photos. 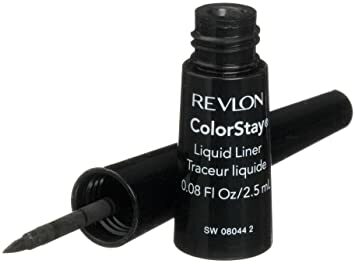 In sweaty situations, it is easy for eyeliner to run or smudge off, however, my Revlon ColorStay Liquid Liner has proven to be trustworthy again and again. Revlon liners come in multiple brush sizes to allow you to get a subtle skinny wing or a bold dramatic eyeliner look. Priced at only $8.69, Revlon liner proves to be effective while not breaking the bank. Continuing with the eyes, Maybelline Falsies Mascara Volume Express provides a dramatic lash look while being contact lens safe and smudge proof. Falsies Mascara can be found at Walmart or Shoppers Drug Mart for only $5.94. Lastly, for a food proof, smudge proof, and kiss proof (hey, you never know, wink) lipstick, my daily go to is the Smashbox liquid lipstick in the dark red shade Miss Conduct. This lipstick can be applied once daily and provide a whole days’ worth of wear without the need for reapplication or drying out your lips. Although it is priced at $24, I and my Smashbox lipstick have been together for five months, making it another economical investment. For a cheaper alternative, my other go to lip product is the Revlon Color Burst Lip Butter which offers over 10 beautiful shades, while being priced at $8.46. As great as your bass, eye, and lip products might be, sometimes you just can’t beat the impending smudge. A key trick to making any makeup product last (whether it be drugstore brand or high end) is using a technique known as “baking”. Baking involves applying all of your products in the normal order and finishing your face with a light layer of baby powder. The baby powder does not change the composition of the makeup or its colors, but rather it absorbs any additional sweat and keeps everything locked in place. So, between the application of all of these products and the use of the “baking” techniques, enjoy an anxiety free frosh without any smudges.